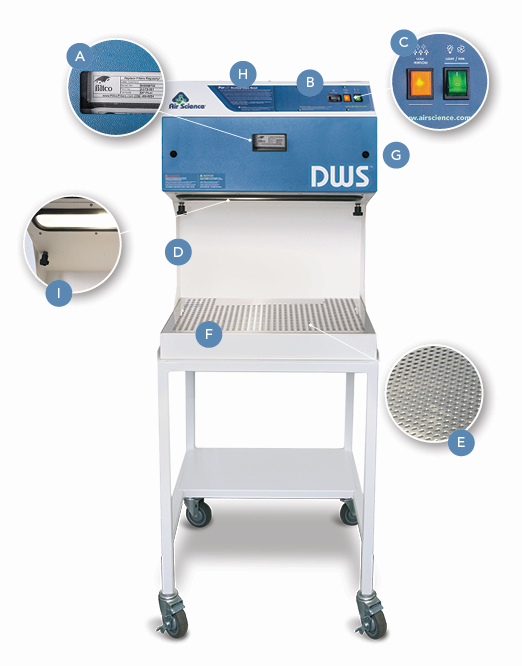 DWS™ Downflow Workstations are high efficiency ductless fume hoods designed to protect the user and the environment from hazardous vapors generated on the work surface. 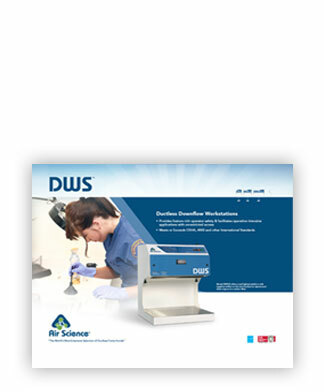 Unrestricted front and side access to the ductless workstation facilitates applications requiring complex and intensive operator involvement, while downward airflow in the chamber protects the operator. 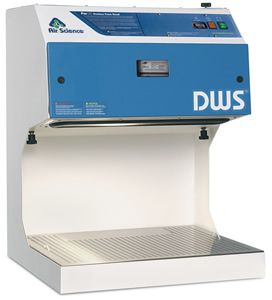 The DWS Downflow Workstation product is part of a line of filtered fume hoods based on the innovative Air Science Multiplex™ Filtration Technology that creates a safe work environment over the widest range of applications in the industry including forensic fingerprint powder, chemical, dental, forensic, histology, industrial, microscopy, pharmaceutical, and veterinary. 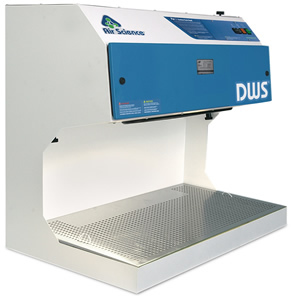 Downward airflow protects operator from fume and particle hazards. Unrestricted front and side access to work area. The Air Science high capacity filters are easy to access, easy to change. D. Steel Support Frame: The chemical resistant epoxy coated steel frame adds mechanical strength. Optional all polypropylene construction is available if desired; see accessories. E. Work Surface: Under the perforated stainless steel internal work surface is a polypropylene tray to retain any spillage. F. Electrostatic Pre-Filter: The electrostatic pre-filter is accessible from inside the chamber and 91% effective down to 1-3 microns. G. Filter Door Key: Filter access keys prevent unauthorized removal or accidental exposure to dirty filters. H. Internal Manual Speed Controller: The operator may set the centrifugal fan motor speed as desired. I. Internal Fluorescent Lamp: A vapor proof fluorescent lamp illuminates the interior of the workstation. Construction: All models are available in either metal or polypropylene construction. See selection chart for specifications and dimensions. 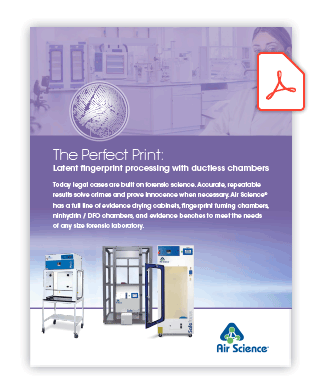 Specify metal or polypropylene when ordering. Available in 120V, 60Hz or 230V, 50Hz models.